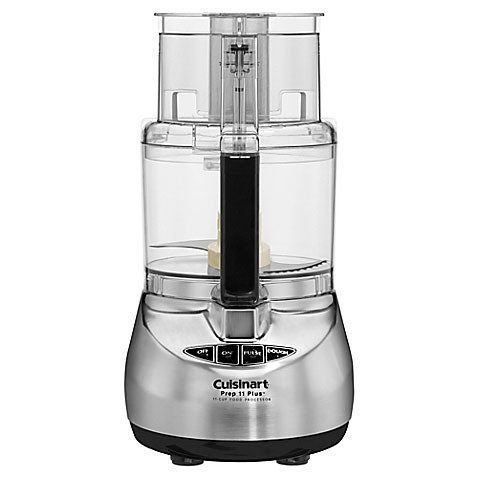 The Cuisinart DLC-2011 is a 600-watt, 11-cup, full-size food processor that provides all the power, versatility, and capacity needed by any household. The motor automatically adjusts the speed to ensure proper consistency when mixing doughs. It features new feed tube and pusher assembly, which is easy to use and conveniently located at the machine's front. The DLC-2011 has large oval feed tube that accommodates whole fruits and vegetables. The small, cylindrical tube is located inside the pusher assembly and has its own hollow pusher, which removes with a twist. The 11-Cup Food Processor Brushed Stainless Finish has many exciting features for users of all types. You can extend the lifetime of your 11-Cup Food Processor Brushed Stainless Finish with the purchase of a FactoryOutletStore Factory Protection Plan. See the 11-Cup Food Processor Brushed Stainless Finish gallery images above for more product views. 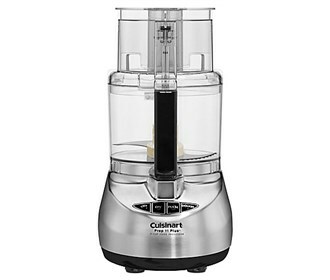 The 11-Cup Food Processor Brushed Stainless Finish is sold as a Brand New Unopened Item.